A loan lock can be confusing. Borrowers have questions. They are the type of loan lock questions that are typically asked only once and, after the home closes, the answers quickly slip out of mind. Buying a home and getting a loan can be all-encompassing. When it comes to locking the interest rate on a mortgage loan, everybody wants to time it to get the best deal. There's nothing wrong with that sentiment. It's normal. Some of the time you'll get lucky and other times you will not. In other words, it's a roll of the dice. With a locked interest rate, however, you are guaranteed that if interest rates go up by the time you are ready to close, you will pay the lower interest rate. What Are the Risks If the Loan Is Not Locked? Let's say you decide to wait. You've narrowed down where you will get a mortgage and looked at all your loan choices. Maybe you've even decided on the loan product you want. But the market is moving down. The Fed has cut rates twice and you expect them to drop further. So you decide not to lock. It's a gamble. But if rates go up, you have absolutely no protection. You will pay the higher rate if you remain with that lender. 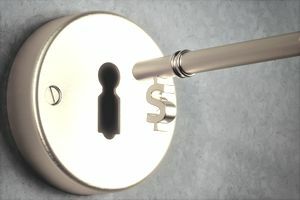 Borrowers will pay extra for an extended loan lock. Extended locks are usually not free. The interest rate will be a bit higher or the points will reflect the loan lock fee. That's because the lender is taking on the risk that rates could go up while the transaction is processed, so the lender could end up losing money if the loan is funded at a lower-than-market interest rate. But locking the loan gives the borrower peace of mind. Real estate experts generally recommend that borrowers lock. Locking in the rate does not mean the borrower is wedded to that lender. The borrower is actually free to go elsewhere for a loan if the rates go down by the time the transaction is ready to close. Most borrowers don't realize this little-known fact. That's because lenders don't want to tell anybody. They don't want to lose a loan by encouraging a borrower to jump ship. A 30-day rate lock might cost the borrower one-half of a point; whereas a 60-day rate lock might cost one full point. Points are a percentage of the loan amount. A .5 percent rate lock on a $200,000 loan is $1,000. These fees are not paid up front; they are paid at closing. So if the loan never closes because the borrower has changed her mind or gone elsewhere, the fees are never paid. If a borrower doesn't want to pay for the loan lock through points, the fee can be computed into the interest rate. Is There a Downside to a Loan Lock? There is rarely a reason not to lock a loan. Interest rates change daily, sometimes hourly. To protect yourself against the volatility of the marketplace, it's a good idea to lock your rate once you are satisfied with the rate. The reason some buyers dislike loan locks is that they want to grind every dime out of a transaction that is humanly possible. Just remember that if the rate was acceptable when it was locked three weeks ago, a drop of a 1/8 of a point or so isn't the end of the world. You don't need to be that kind of borrower to get a good deal. The important thing is that you end up with the home. Are Reverse Mortgages a Scam for the Elderly? What Makes Mortgage Interest Rates Fluctuate? Are All Home Appraisals the Same? How Much Do You Pay to Close the Sale of a Home? Do You Qualify for Government-Based Mortgage Assistance? Do Discount Points Really Make Your Mortgage Cheaper?